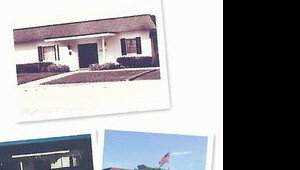 In 1969 Curtis Kickliter built and opened the funeral home at its present location. Kickliter then sold to Cliff Suddreth who operated the funeral home until he sold to Gail and Lavon Bass in 1976. Gail and Lavon called the business Okeechobee Funeral Home until 1978, when they changed the name to Bass - Okeechobee Funeral Home. Then, recognizing the community's need for a modern and larger facility, a major remodeling and addition was undertaken and completed in 1983. Shortly after graduating from mortuary school in 1979, Paul Buxton was contacted by Willard and Janet Mays and offered the opportunity to manage a funeral home in Okeechobee; however, Paul and his wife Marilyn had bigger plans. In 1980, Paul officially opened Buxton Funeral Home and Crematory. In November 2003, Tom Conway and Paul Mitchell purchased Bass-Okeechobee Funeral Home and Crematory, and in 2010, they purchased Buxton Funeral Home and Crematory. With over 150 years of trusted service and five generations in the funeral profession, the Conway and Mitchell families have a long tradition of caring for the people in the communities they serve. In the fall of 2013, the Buxton Family including Matthew, Paul, and Marilyn returned to their former funeral home to work side by side with the Bass and Conway families. This union of families brings true meaning to our new name of Buxton & Bass Okeechobee Funeral Home & Crematory. As the only locally family owned funeral home in Okeechobee, our families promise compassionate and respectful care while ensuring professional guidance for those we serve. Our spacious facilities offer well-appointed and flexible accommodations meeting all client family needs. As a full service funeral home we offer a vast selection of service and product options at affordable prices. Today, many families are choosing cremation and it’s important that you know we operate the only onsite crematory in Okeechobee County. Because of this, we offer you peace of mind knowing your loved one is in our care at all times and never transported to distant crematories where countless cremations are handled. We ensure every cremation is performed with careful individualized attention to detail and with the dignity you’re loved one deserves. Tom is married to his wife Lisa for over twenty years. Together they have seven children and reside in Palm City. Tom is fourth generation funeral director with over 26 years serving families as a licensed funeral director. "I have always dedicated myself to providing the best possible care to families who have lost a loved one. Having experienced my own losses, I believe I am better able to empathize with families during their difficult time." Matthew P. Buxton or Matt, is a second generation funeral director, and the oldest son of Paul & Marilyn Buxton. Matt knew at the young age of 5 years old that he wanted to follow in his father's footsteps and become a licensed funeral director. Matt is an Okeechobee native and a graduated of Okeechobee High School Class of 1993. Following high school he enrolled at University of Florida where his concentration was Business Administration. He then enrolled at St. Petersburg College Funeral Services Program where he obtained his A.S. degree in Funeral Directing and Embalming in 1996. When he is not riding in his signature orange Jeep or on his Harley Matt is very involved in the Okeechobee community. He has served on numerous boards including the B.R.A.T. Club and the American Cancer Society, and coached several youth team sports. Matt lives in Okeechobee with his two daughters, Morgan and Dayton, who plan to become licensed funeral directors as well. Philip M. Buxton is a second generation funeral director and embalmer. He is the youngest child of Paul & Marilyn Buxton. He is a native of Okeechobee, and graduated from Okeechobee High School in 2002. After high school he attended the University of South Florida in Tampa on a full academic scholarship. At U.S.F. he received his Bachelor’s of Science degree in Business Management. He then followed in the footsteps of his father, Paul and two older brothers and enrolled in mortuary school. He graduated from the St. Petersburg College Funeral Services Program with an A.S. degree in Funeral Directing and Embalming. He returned to Okeechobee to serve his internship at his parents’ funeral home. After working and managing funeral homes on the Treasure Coast Philip returned to Okeechobee in 2014 to continue working with his family. Philip lives in Okeechobee with his wife, Renee who is a licensed C.P.A and their two sons, Emerick and Oliver. Jim is a native of Wisconsin and has been an Okeechobee resident since 1995. He and his wife Becky Moore Barnhart share their home with two rescue dogs Gabe and Hope and have four children, Chanley, Jaiden, Max, and Tad. Jim is also a proud grandfather. Jim graduated Miami Dade College with a degree in Funeral Service. After successfully passing both National Board exams he completed his internship with Buxton & Bass Okeechobee Funeral Home. His hard work paid off when Jim became a Licensed Funeral Director and Embalmer in July of 2016. Jim and his family are members of the First United Methodist Church and Jim is a member Methodist Men. He enjoys fishing, golf, NASCAR, the Green Bay Packers and football. Marilyn A. Buxton was born in West Palm Beach, FL, and a lifetime Florida resident. She attended the University of South Florida in Tampa where she received her Bachelor's of Arts degree in Sociology. Marilyn married her childhood sweetheart, Paul M. Buxton in 1972. She worked for the Florida State Department of Family and Children as a liaison for families with dependent children, and the children within the foster care system. Marilyn and Paul moved to Okeechobee in August of 1980, and together raised their three sons and one daughter. In addition to her duties at the funeral home she was owner and operator of Buxton's Flower Shop until it sold in 1991. Marilyn has volunteered for countless organizations including the Raulerson Hospital Pink Ladies, Christian Service Center, the Okeechobee Welfare Board, multi-county library cooperative program and many more. Currently she sits as a Martha's House Board Member, volunteer for the Annual Okeechobee Blood Round-Up, and is an active member of Church of Our Saviour Episcopal Church. In her spare time she enjoys mother/ daughter time with her only daughter, Rachel; church activities; traveling and spending time with her 6 grandchildren. Karen was born and raised in Okeechobee. She resides in Okeechobee with her husband, Jeff Varnadoe and two children; a son and daughter. Karen is dedicated to serving families' needs in addition to her on the go life as a wife and mother of two. Ray Stone is a native of Tifton, Ga. At the early age of 10 years old, Ray and his family moved to South Florida where he has lived in Okeechobee. Ray is retired from the Okeechobee County Sheriffs Department. 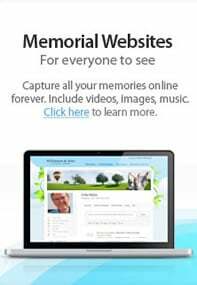 Ray has been with Buxton & Bass Okeechobee Funeral Home since September 2012. He assists the funeral directors in day to day operations, working visitations and services. Those who do not know Ray do not remain a stranger for long. His friendly personality and willingness to lend a hand has made Ray a friend to many within the Okeechobee community. He enjoys keeping busy in his retirement with odd jobs, fishing and trips to town with his beloved dachshund, Katey Sue. He is a member of First Baptist Church of Okeechobee where he serves as an usher, and is a member of the Okeechobee Masonic Lodge No. 237. Ray is married to his wife, Phyllis and they have three sons. Paul Madison Buxton, 67, died Sunday, May 22, 2016 at his home surrounded by family. Paul was born January 12, 1949 in Rochester, NH, to Madison “Red” and Theresa Buxton and moved to Florida in 1952. He attended St. Francis of Assisi Grammar School and was a 1966 graduate of Cardinal Newman High School. He was a member of Church of Our Saviour Episcopal Church and has been a resident of Okeechobee since 1980. Paul was a member of many organizations including Okeechobee Masonic Lodge #237, Scottish Rite, York Rite, Shrine Club, Sons of the American Legion and Kiwanis. Upon receiving a bachelor’s degree in psychology from USF, Paul married his wife of 44 years, Marilyn Bloeser and began working for the state with parole and probation in Broward County and then as an area director over seven counties based in Palm Beach County. He had dreams of something more and began Buxton Pastels, painting wildlife professionally to supplement income to afford Marilyn to be a stay-at-home mom. He then decided to further his education at Miami Dade Community College and obtained a degree in mortuary science. While serving his internship at Howard Funeral Home in North Palm Beach, he received a phone call from Willard and Janet Mays in an effort to recruit him to run a funeral home in Okeechobee. After some negotiations, the dream of owning his own funeral home came true and Buxton Funeral Home became a reality in August 1980. Paul then launched his passion to serve the community of Okeechobee in any way possible. Paul served on countless boards and held offices in organizations including Kiwanis, Chamber of Commerce, Elks, Moose, Red Cross, American Heart Association and the American Cancer Society. Some of the things Paul was most proud of being instrumental to help spearhead was the lighted Christmas Parade with the Chamber of Commerce, the Non-Alcoholic Grad Nite Party, Santa in the Park with Kiwanis and fundraisers for the ACS 125. Paul started the Okeechobee Crisis Line at the old hospital being a 24-hour resource, which then resulted in his dream of starting a local hospice. Hospice of Okeechobee began as a full-volunteer organization based out of the funeral home and over the years has grown with gracious donations from so many including Colonel Hamrick’s family donating the property which is now the location of The Hamrick Home, Hospice of Okeechobee. In the last couple years, Paul enjoyed his time being semi-retired working with his sons Matt and Philip, taking his place at the end of the couch inside the front door greeting all that came in with his open arms and his gift of love and support. Lavon Bass, age 79, of Okeechobee, Florida, passed away in the early hours of Tuesday, October 14, 2014 at the Mountain City Care Center in Mountain City, Tennessee after unexpected complications that arose from a fall in their Mountain City home. Mr. Bass was born on July 6, 1935 to the late J. Avery Bass and Annie Maude Horne Bass. In addition to his parents, Lavon was preceded in death by his sisters, Ann Cumpton and Nancy Bobbitt, his brothers, Joel Bass and Kenneth Bass, his son, Tommy Van Moore, and grandson, Peter Michael Norman. Mr. Bass was a retired funeral director, serving others in this capacity for over 55 years. Along with his wife, Gail Bass, he was the former owner of Bass Okeechobee Funeral Home in Okeechobee, Florida. 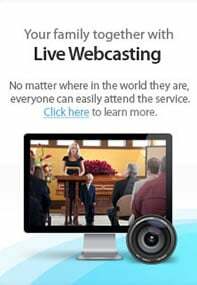 Lavon and Gail have served and ministered to the grieving families of the Okeechobee community beginning with the purchase of the Bass Okeechobee Funeral Home in January 1976 up until August of 2014. He was also former co-owner of Mountain City Funeral Home that was officially opened 13 years ago in Mountain City, Tennessee, until its sale several years ago to the co-owner. Lavon also served our country as a veteran of the United States Air Force. In addition to his service as a funeral director, Mr. Bass served in the Okeechobee community in a variety of ways. He was a member of the First Baptist Church of Okeechobee. Mr. Bass was also an active member of the Okeechobee Lions Club from 1972 until the club disbanded, selling a multitude of cups of pinto beans, sweet tea, cornbread, and Christmas trees. This to ensure that many children in the community would receive eyeglasses. Additionally, he served on the Board of Glades Health Care Center in Pahokee, Florida, was a former member of the Board of Okeechobee Rehab, was a former Okeechobee City Councilman, was a member of and served in the American Red Cross, the Shrine Club, the Masonic Lodge, the Eastern Star, the Chamber of Commerce, and other civic organizations. A less known membership in his later years was Lavon’s active involvement in a group affectionately and humorously known as Okeechobee’s “Liars’ Club” where he gathered with a few others most mornings as they attempted to solve the world’s problems over breakfast and coffee. Lavon Bass was truly one-of-a-kind - comforting, bringing laughter, and ministering to the needs of those around him. He would leave each morning with a clean hankie, but rarely returned home without it being used by someone who needed comforting. All who knew Lavon can acknowledge that he never met a stranger and could always put a smile on someone’s face. As he learned from his dear friend, the late Mickey Evans, to ask those around him if someone had told them today that they loved them, Lavon would always reassure them that he did! How many of us walked away after a hug from Mr. Bass, having the scent of his oh so familiar cologne lingering in our senses. He also quietly and privately did most of his “good deeds” so that it will never be known the number of people whose lives Mr. Bass impacted. His presence here will be missed.